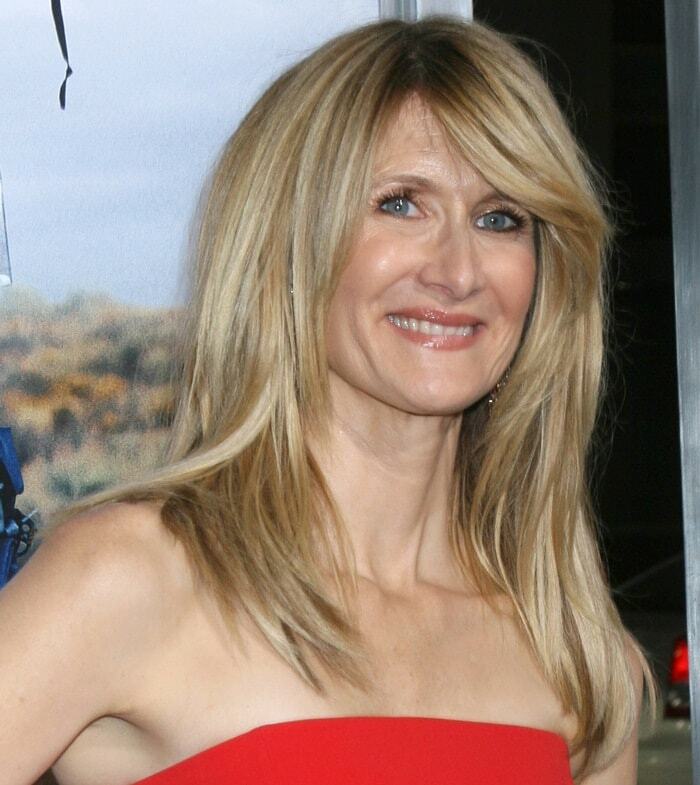 Laura Dern wore an elegant red dress while hitting the carpet at the premiere of her new movie, Wild, on Wednesday evening at the AMPAS Samuel Goldwyn Theater in Beverly Hills. The 47-year-old American actress, film director, and producer donned a red strapless dress from the Safiyaa Spring 2014 collection paired with a coral belt. Instead of completing the outfit with a boring pair of black shoes, Laura brilliantly opted for a pair of lavender pointy-toe Fausto Puglisi pumps. 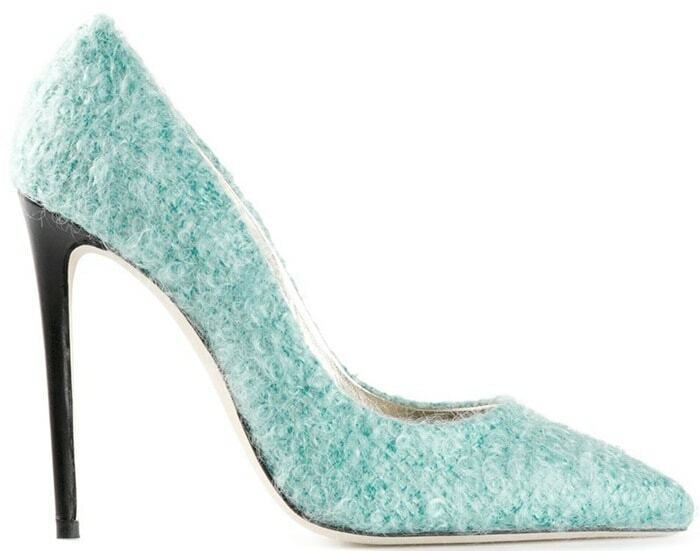 Would you dare to pair a red dress with a pair of lavender pumps? 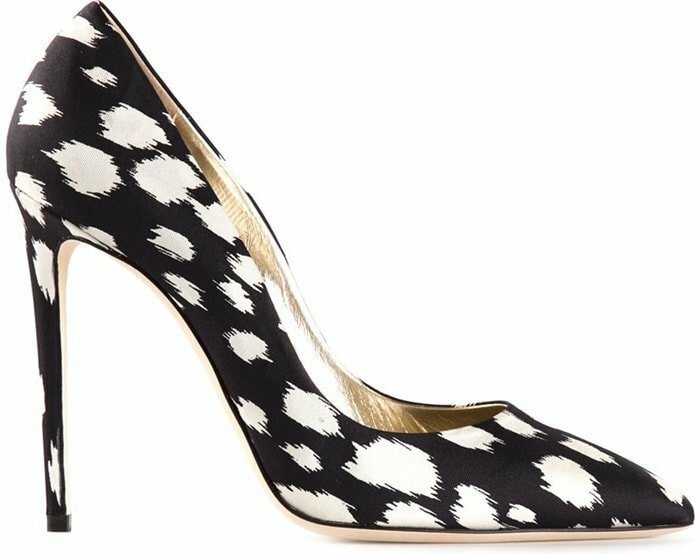 While we’ve not been able to find Laura’s exact pumps online, you can browse the most recent arrivals from the Italian fashion designer at Farfetch and Luisaviaroma.